The BP Portrait Award is the most prestigious portrait competition in the world, promoting the very best in contemporary portrait painting. With a first prize of £25,000, the exhibition has proved to be the launch pad for the careers of a number of successful portrait artists. 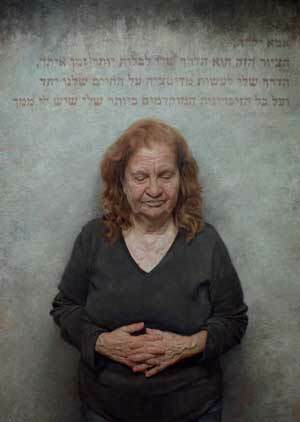 Figurative artists working in all media are exploring portraiture. 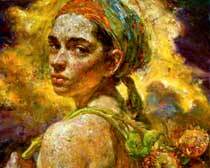 Artists know that a portrait can communicate much more than a likeness. Personal identity, cultural differences, illusory moments—all can be captured through portraits. Portraits are created in a dizzying variety of media, including painting, drawing, sculpture, photography, video and other time-based media, even images based on individual DNA. It’s up to artists to figure out how best to depict those close to them. The “Fundacion de les Arts i els Artistes” is holding Figurativas ‘13, which has a Painting prize of €36,OOO, a Sculpture Fund of €44,OOO and a Buying Fund for artworks to be determined. 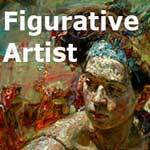 The aim of the Foundation is to encourage and spread Figurative Art . 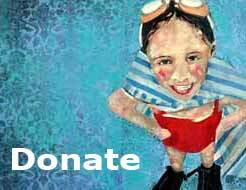 The main task will be to encourage artistic initiatives and sponsor artists. Portrait Society of America. Our goal is to create an exhibition, in conjunction with our annual conference, of the finest portrait and figurative work being created today worldwide. The competition is open to all artists, members and non-members. 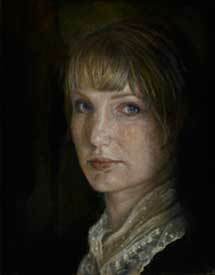 The Annual Members Only Competition, held annually, is open to all Portrait Society members in good standing. Each fall, up to five categories are offered and members can submit up to one artwork per category. All work must be your own original design and concept, created independently, completed in the last three years (since July 2010 for the 2012 Competition) and have never won an award in any previous art competition. Electronic/computer generated or altered artwork, work done in a class, workshop or under supervision is not eligible. This triennial competition invites women artists to submit figurative work for consideration to be included in an exhibit of outstanding contemporary and historic work. Over $15,000 in cash and prizes is awarded to the top 20 artists. Selected artworks are included in the full-color exhibit catalog and Portrait Society publications. The first Inspiring Figures competition and exhibit was opened September 12 and closed October 31, 2010. The Kingston Prize is a biennial national competition for contemporary portraits of Canadians by Canadian artists. The mission is to encourage and reward the creation of contemporary portraits by Canadian artists, through a biennial competition for paintings and drawings. The distinguished jury chooses the 30 finalists for the exhibition, and later awards the Kingston Prize and two Honourable Mentions. The Prize of $20,000 is presented by the W. Garfield Weston Foundation. At each gallery where the exhibition is shown, there is a People’s Choice Prize based upon ballots submitted by visitors. The Threadneedle Prize is one of the UK’s largest prizes for contemporary painting and sculpture. You can help shape the future of contemporary art by submitting online NOW to this influential annual Prize and exhibition, held at the Mall Galleries in central London. In addition to the £30,000 Threadneedle Prize, all works selected for the exhibition qualify for a further £10,000 Visitors’ Choice Award. The competition is open to all artists working in the UK and Continental Europe who use figurative and representational art as a starting point for their work. You may submit up to three works including paintings, sculptures, original prints, drawings and mixed media installations. The Lynn Painter-Stainers Prize is open to living artists over the age of 18, who are resident in the British Isles. Only original, two-dimensional works in any painting or drawing media, that have been completed in the last three years, and that have not been previously exhibited, are eligible. All works must be for sale, except commissioned portraits. The judges’ decision will be final and binding. First grants are in the amount of CAD $15,000 each, and subsequent grants are in the amount of CAD $18,000 each. The Foundation reserves the right to award grants in other amounts.